Love. It’s a powerful word, and is interpreted in so many ways. If you’re aware of it, Love is affecting you, in one way or another…. You can express it and share it, or you can scoff at it and deny it. It’s your choice. Many people are afraid to love. I find this sad. They’ve been hurt in the past by not receiving the love they wanted or needed in the past. Sometimes they actually HAVE been loved, but have not perceived it as being enough. So they have set up walls around their vulnerabilities in order to survive and feel safe. This is sad, but not hopeless. They think that by being callous or sarcastic they can protect themselves and survive without being hurt again. I’m sorry, folks, but life is change and full of unavoidable hurt. Putting on emotional armor closes down the natural energy that flows through everyone’s body at birth. This is literally Unhealthy. The mind/body cannot thrive without the flow of Love coursing through ones Soul. The energy stays stuck at the root chakra and keeps people from opening up to the amazing experiences of living fully. To really live fully, you have to take risks! Especially with your heart. You have to be a Warrior for Love in order to Live well. how much Humanity at large would progress! Our souls are eternal, and will come back for another body, another chance to experience everything – in order to become filled with the blissful essence of wisdom. Every experience, even the hurtful ones, are for the growth and development of our Character, and our Soul! So come on- Give It Up- Take a chance on Love today! Look at infants. They wail and scream because they are disoriented and uncomfortable. But given loving attention, the cries stop, the coos begin, and smiles appear. It’s that easy! Well, it make take awhile…because some natural temperaments are ‘easier’ to soothe than others, but eventually, babies get the message that they are safe, and it is okay to feel comfortable in their new bodies. A child that is loved has tremendous energy that flows naturally through the lower chakras of security, relation, and self-esteem. Look at how they play so happily & easily. As that child grows, if they are encouraged to become themselves, they grow into their heart chakra and are able to freely express their love. As we mature, we learn to give our creativity space to move through our throat chakra. This is the Sacred Work of Parenting. Once we are on our own, we typically come to a place of knowing that there’s something MORE to life; whether during that disgruntled teenage period, young adult or midlife point, we start to sense that there is MORE than the mundane, physical life. We must Seek it out! We can learn to connect with our Spirit and the Godhead within each of us! We Can Become BORN AGAIN! ~by discovering our Spiritual Self and learning to Love the World and Everything in it! When this happens, Everything changes for the Better: we can live in Love’s flow! When we feel safe, that we belong, that we are a valuable asset to our family and community, when we are allowed, by our Self and society, to express our uniqueness we CAN find Heaven on Earth, by connecting with our loving Spiritual Selves. This is the motivation of LOVE that exists in each one of us! Believe me. It’s in there. All we have to do is look with open eyes and awareness! We need to come to an understanding that we ARE Love at our soul essence. We are drops in the ocean of all-that-is…so when one is hurt, we all hurt, though we may not be consciously aware of it. When one of us grows, we all grow. When we suppress Love, we cause harm, to ourselves, and others. We need to come to the realization that The Greatest Love of All is within ourselves. This is one of the most important reasons we exist in this schoolhouse called Life. To Learn this Lesson: Love is all around us– it IS us. It is the driving force of the Universe. It is the energy that makes us come alive, be creative, feel deeply. Many people are living without this understanding. It can be helped. Whatever amount of Love you have in your heart – share it with others. Give it to your Self in ways that pamper you and make you feel happy. by doing small acts of kindness whenever you get a chance. Share a little, receive a little. Share a lot, receive even more than you put out! Be brave. Love. ~and open your Self up to receive the love you are given! You know you are making Spiritual progress when things fall apart and you stay centered and calm in your Inner Self. Knowing what makes you feel calm and safe is the first, and one of the most important things to learn about yourself. Go there. Seek it out. Then practice being centered, calm and safe. Everyday. This is first chakra work. When people push your buttons and you become aware that it is happening ~and choose to react in a more thoughtful and intentional way~ you gain personal power and control over your life! You do not have to be pulled into the drama! Step back, regroup, breathe. When you understand that you have choices, you can choose to ignore it, or respond with thoughtful words in a measured, and lowered, tone of voice. 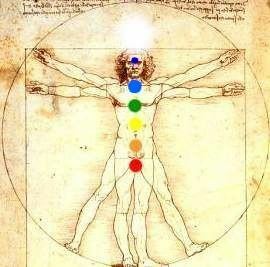 This work corresponds to the second, interpersonal chakra, the third, personal power and fourth, heart energy chakras. Deepak Chopra says, “When someone else makes a mistake, it is their responsibility to correct it. It is your responsibility to handle how you feel about it,” which is absolutely true. When we try to not take things personally, which is advocated in Don Miguel Riuz’ book, “The 4 Agreements,” it becomes easier to allow slights to be overlooked. Letting things just “Go” makes for an overall happier life.